I started my doctorate program... which explains why I haven't been on since May! HA! I am VERY excited about working on my doctorate and have learned SO much already. Doesn't it look fun???? Seriously though, my cohort is amazing and the professors are incredible! But, that's not the only change going on over here. I also have a brand new position! 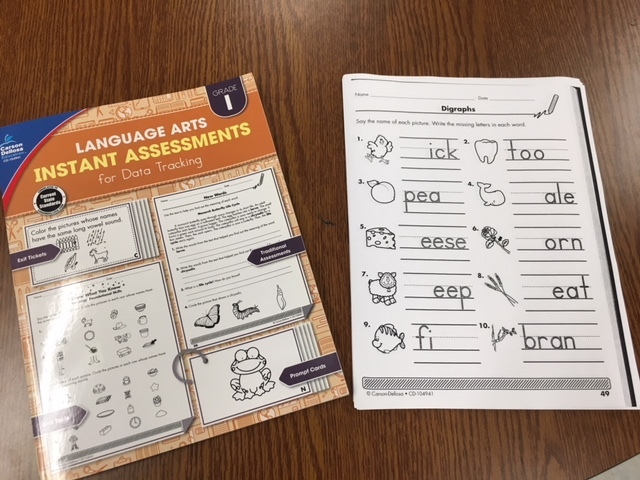 I am not a classroom teacher this year, I am actually working as a support teacher (EIP in Georgia). It's been SO interesting so far this year. 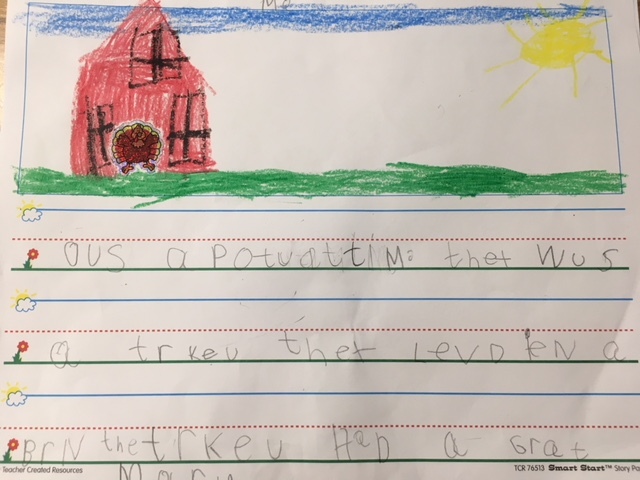 I push-in in 5th and 4th-grade writing/reading. Plus I pull-out a group of 1st graders. My 1st graders have been a lot of fun to read to this year. I have found several ah-mazingly great new books. A few have been at the recommendation of some of my awesome co-workers. 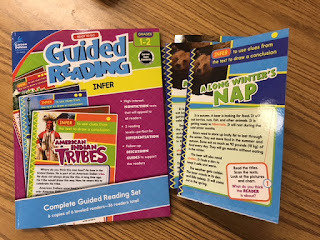 I absolutely love to pass on great new books that are wonderful as mentor texts! My kiddos loved reading 'Sylvie' and only one kiddo new 'A Bad Case of Stripes'. They loved hearing them both last week. I used both to practice predicting. 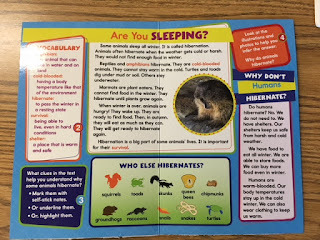 The kiddos did an awesome job of making a prediction based on clues from the text. 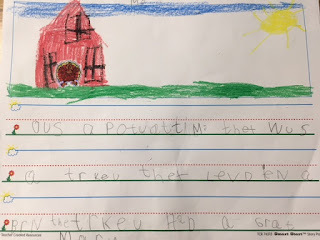 We compared the two books using a "snowman" chart. Since they are firsties, they were familiar with a Venn diagram. But... since I was using the sticky post-it charts, I couldn't turn the paper. They thought it was great to have a 'snowman' chart. Too funny! We absolutely loved drawing our flamingo for the week too. My small group definitely struggles with following directions sooooo we will be doing a lot of these activities. And this is just a "squeal" moment for me! I love, love, love my Tieks! And now Starbucks has a coffee mug to match the blue soles perfectly!!! Summer days gives me more time to shop dream about filling my closet! I like to try and pair up clothes I already have and get new looks. So.... where else do I turn except to Pinterest?! I actually have all of these pieces except the cardigan. I'm keeping my eyes on Target's weekly ads for when their basic cardigans go on sale so I can get some bright colored ones. I need to find a cute khaki skirt like the one in this outfit. I like the really classic patterns that are mixed up together in this. So... since I've lost some weight (in my tummy area thankfully) I have really been wanting a denim or chambray shirt dress. I'm determined to buy one for next school year! 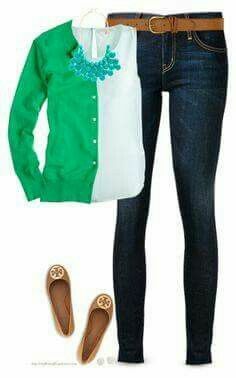 This one is adorable with the skinny belt. Love it! As many schools do, our school hosted a Biggest Loser Competition this year. I was one of about 20 teachers that joined in and worked hard to lose weight. As teachers, that equates to a TON of questions really... How do you lose weight with all the constant snacks? How do you lose weight and make it without sodas? What did you do? What did you eat? I thought, now with summer being here and having time to sit and write, I'd share my answer to 'How'. 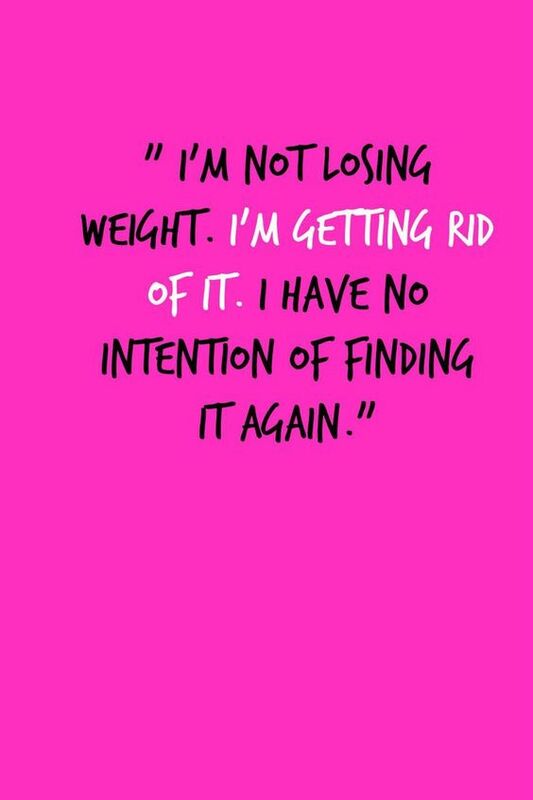 I have an entire Pinterest board full of motivating sayings, funny memes, and different exercise routines that help me keep going. I also have my Fitness for Teachers page on Facebook to turn to for motivation and help with questions/advice. 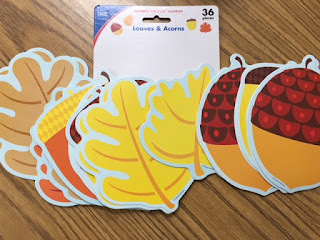 At the beginning of the year, Fitness for Teachers had several Diet Bets that helped motivate me as well (earn money for losing weight?! Sure thing!). There will be another summer Diet Bet coming up in the next week too! I started off my tracking everything that went into my mouth. I have had a lot of success with the Sparkpeople app. It has tons of food already in their system to pull information from. Plus you can 'build' your favorite meals into it. For example, I make my coffee the same way every day. So I created a group and just have to add it with 1 click each day. So much easier! Yes, I had to give up things or use moderation. I gave up Cokes completely. I increased my water a LOT. (Like from 0 oz to 40 oz a day) I got rid of sugar for weeks. in my coffee, I use sugar free, fat free creamer and Truvia. Taking out the sugar REALLY helped see a difference in my weight. A fellow Biggest Loser competitor and I would walk every day at recess. We could do any where from 1 mile to 1.75 miles on the track around our playground during our daily recess. If I added in my rowing machine for about 15-20 minutes after dinner, I had burned a lot of calories each day. Have you followed Proverbs 31 Ministries? I have for awhile and love their daily inspirational quotes. Today's quote is especially wonderful. 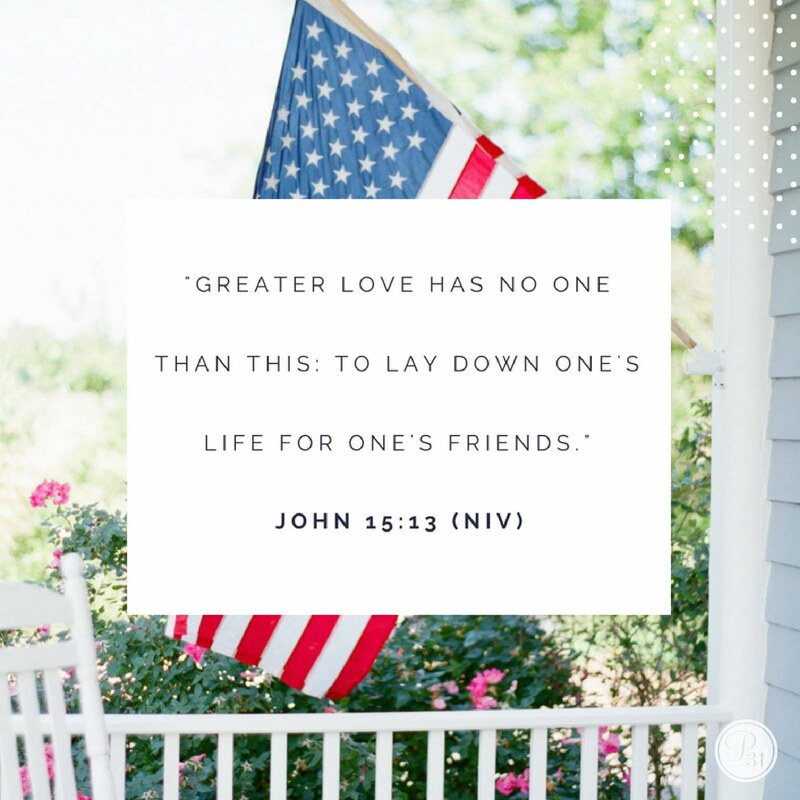 As you celebrate with your families, remember those who have fought for our freedoms. God bless! I had the sweetest grandmother this year and last year. She saved and donated water bottles last year that we turned into planters. This year she saved and donated 16 oatmeal containers. I racked my brain as to what to do with them. After searching a bit on Pinterest, I finally came up with the best idea for them! My students picked one of our historical figures required in first grade to research. 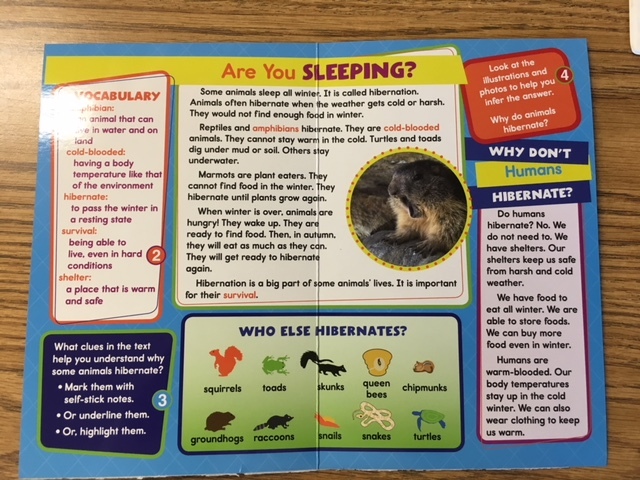 They used Pebble Go to research, find facts, and write a paragraph about what they learned. I used a set I found on TPT from What I Have Learned. 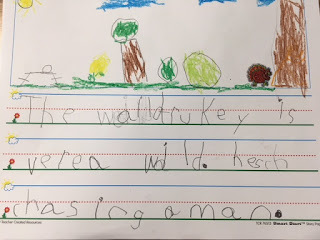 It was amazing for writing a scaffolded research paper for my firsties! After the researched and wrote, they were given their oatmeal container. I wrapped it in white paper and let them create their person on it. I think this adorable Benjamin Franklin was my favorite!! Christmas and all that pertains to it has slowly been creeping up on me this past week or so. 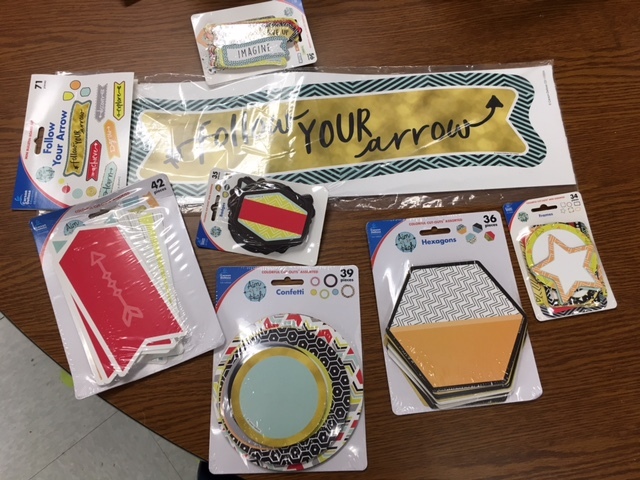 I have had a TON of extra stuff going on and have struggled to come up with a cute door for my classroom. Everyone on our hallway decorates their doors, especially for the holiday season. Our hall decided to do a reindeer theme this year so we all matched. Carson Dellosa sent us some adorable new border and accents that I decided to use. You can grab them here and here (not affiliate links). How cute right? 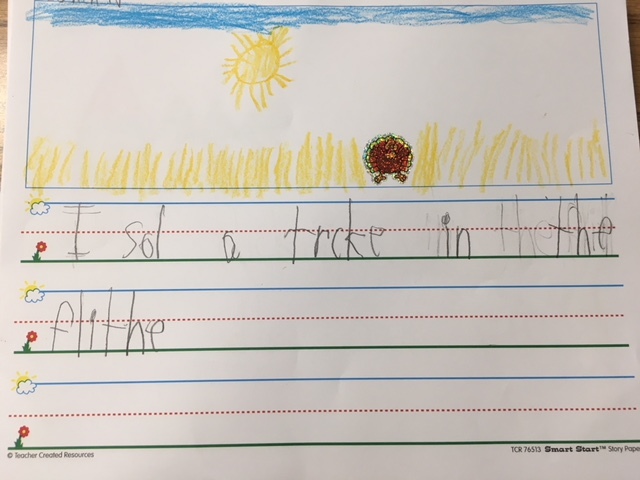 My kids totally got the play on words too! The border from CD helped make the most festive (and adorable) stable door for my tiny reindeer. On another note... our elf at home has been quite adventurous. What has your elf been up to lately? I have some of the very best blogger friends out there! One of those amazing friends (Jennifer from Simply Kinder) sent me this amazing Christmas present!! You are going to want to buy one of these for your very own present-- I promise! This adorable crayon sharpener is amazing! I have heard about them before but have never actually seen one in action. I can honestly not believe how well it sharpens!!! Look at these pictures for proof! The before and after prove it all! How awesome is this?! Now, my firsties are lined up wanting their crayons sharpened this morning... it's definitely the *thing* to do in our room this week! Carson Dellosa sent some adorable stickers that I shared about yesterday. 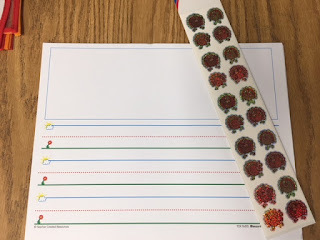 They were PERFECT for sticker writing with my firsties! How cure are these? Am I right?! 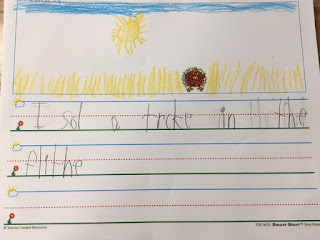 "I saw a turkey in the field." 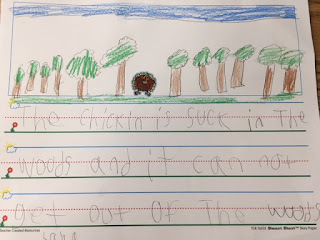 "Once upon a time there was a turkey that lived in a barn. Turkey had a great time." 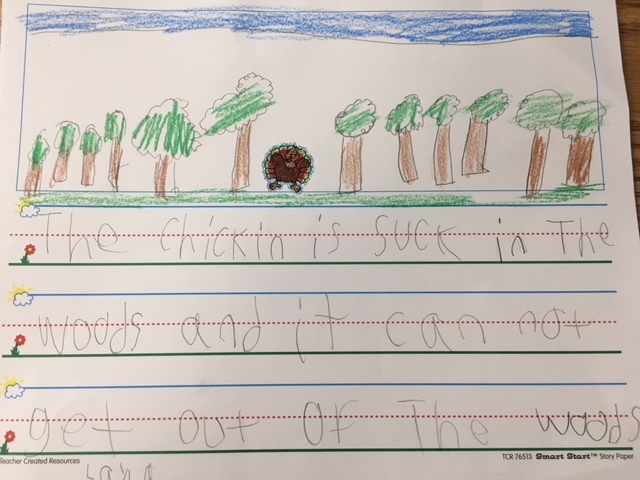 "The chicken is stuck in the woods and it can not get our of the woods." I 'm not sure how they came up with chicken with the number of times that I said the word turkey this morning.... but ya know, it is what it is! 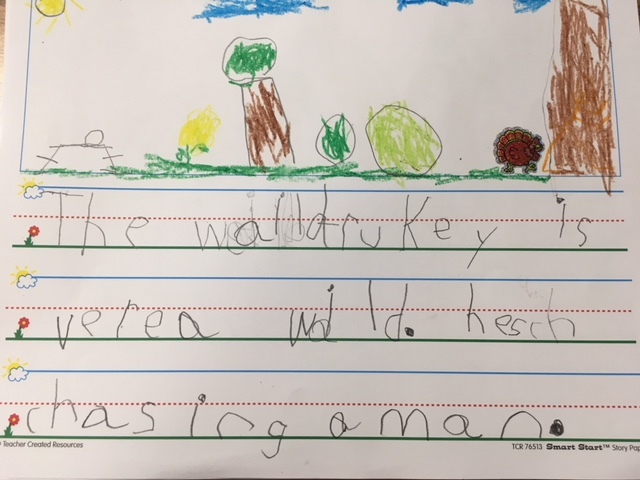 "The wild turkey is very wild. He is chasing a man." This had be literally laughing out loud! I have other little touches here and there from the Aim High line that Carson Dellosa released. But my favorite part of my room? Is my desk this year!!!! This was a shot from my 'set-up' phase this summer... But seriously, I love this! And I have SOOOO much stuff under it that I didn't have a spot to store anywhere else in my room. I will be sharing a video tour of my room in the coming week where you can see it all!